Feel warm and cosy all around the house in the luxury soft Rita fluffy dressing gown, with long sleeves, inside tie, and hood detail. 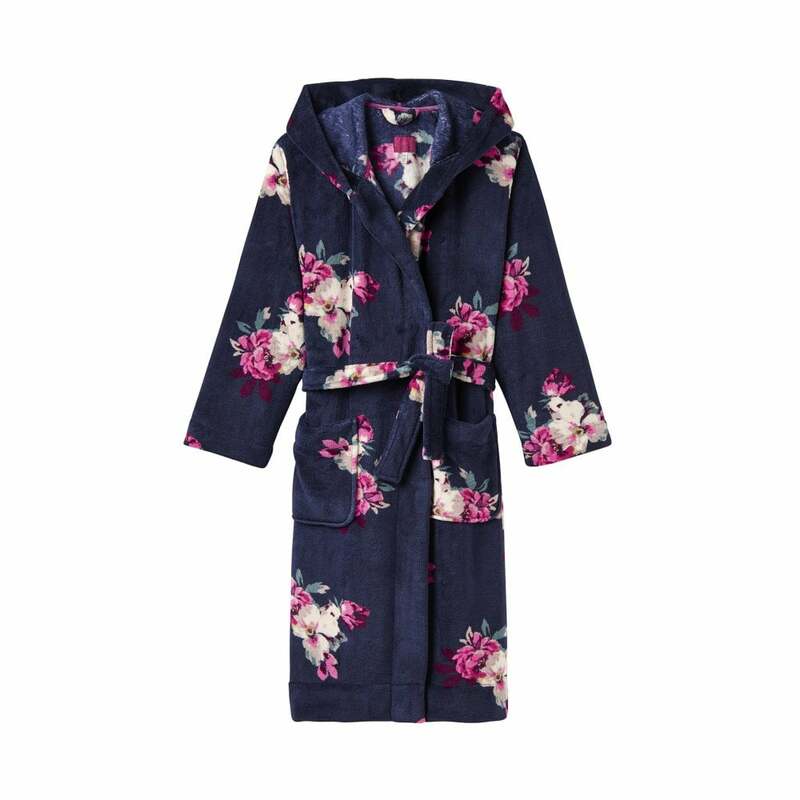 This lovely dressing gown is sure to be a favourite this season. Available in the gorgeous french navy bircham bloom or lovely cream fuchsia star.